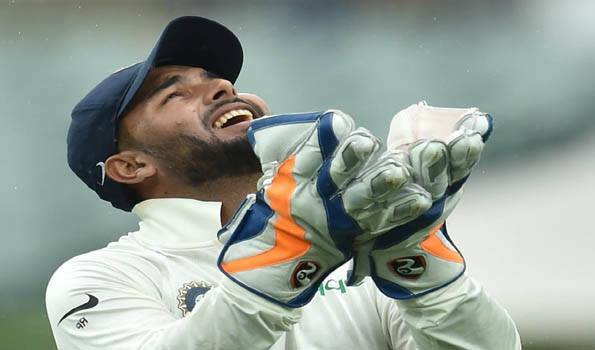 Sydney: Former Australia captain Ricky Ponting has praised Rishabh Pant, the India wicket-keeper batsman, following his entertaining century at the Sydney Cricket Ground in the fourth Test against Australia. Pant's struck his second Test hundred, a dominant 159*, on Friday, 4 January, the second day of the final Test between the teams. The youngster, playing just his ninth Test match, had long partnerships with Cheteshwar Pujara and Ravindra Jadeja as India posted a massive 622/7 declared. It was the highest Test score by an Indian wicket-keeper overseas, and the first time an Indian wicket-keeper made a century in Australia. Ponting, who has coached Pant in the Indian Premier League at what was then called Delhi Daredevils, believed this was only the beginning for him. Pant was a "cheeky" character off the field, with a "Kohli kind of attitude" to winning, the former Australian skipper pointed out. And while he still had to work on his keeping, he would ultimately go ahead of the likes of MS Dhoni. ?He has got to do a bit of work on his keeping, and [with time] he'll become a better cricketer but he'll also become a better batsman. We talk about MS Dhoni all the time and his impact on Indian cricket. [Dhoni] played a lot of Tests for India but made only six Test hundreds. This kid will make a lot more Test hundreds than that," he added. "We talk about him in the commentary box and the way that he bats, he is sort of like another Adam Gilchrist. "He's a real talent and an incredibly good ball striker. He's got a really good game sense as well," Ponting told cricket.com.au in a chat. "He's already now into his second Test match hundred and a couple of 90s to go with it. Look, he is someone who could play a lot of cricket for India in all three formats. He is only 21 and into his ninth Test, so he could be around for a long time."